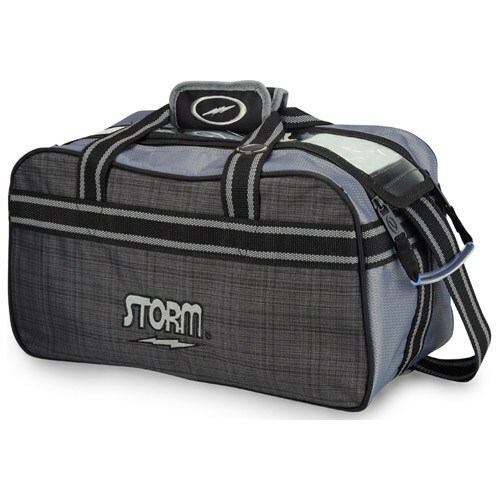 If you have at least 2 bowling balls and need a bag to easily transport them to the lanes then look no further than the Storm 2 Ball Tote Charcoal Plaid/Grey/Black. This bag has an attractive sleek design and just enough room to hold two bowling balls. The transparent "easy view" top panel allows you to see which balls are in the bag without having to open it. Unfortunately, this double tote will not have enough room to store shoes. Due to the time it takes to produce the Storm 2 Ball Tote Charcoal Plaid/Grey/Black ball it will ship in immediately. We cannot ship this ball outside the United States.